That's my wisdom for today - the fruit Lime and Coconut (Coconut is a fruit, isn't it?) are only useful in drinks. You can't eat them - well you can, but they taste wrong - and they have no other use. But wait (I pretend that I hear you cry), lime is so cleansing! What about in washing substances, such as shower gel? I am currently using a Lime and Coconut Shower Gel, and let me tell you, it's bad. The lime smells limey, but in a bad way. And I'm a guy that likes citrus smelling shower gels, that's how tough I am. 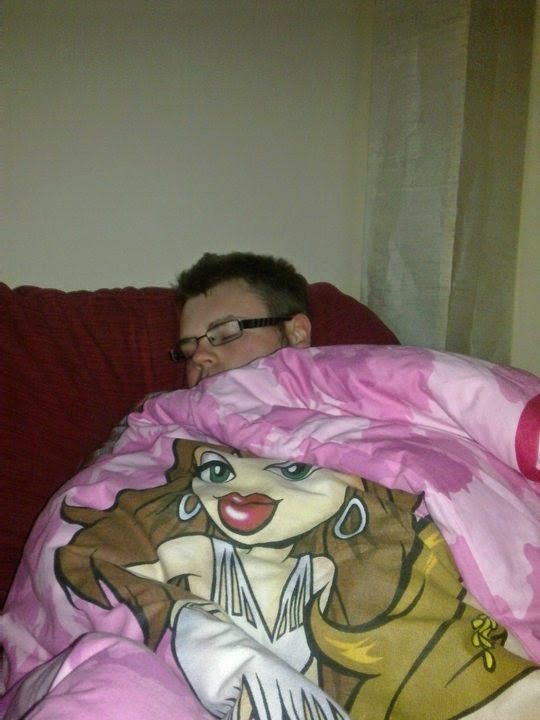 So tough that I am at ease with sleeping under a pink duvet. But this lime smells as though it's gone off, and perhaps it has. It's not a million miles away from what ultra-cheap-value bottles of floor cleaner smell of. And then there's the coconut. Now, I understand the importance of exfoliation. I understand that impurities can get stuck in the skin, like a rock stuck in a sandbed, plugging up pores for weeks, if not months, letting blackheads build into volcanic mountains ready to spew forth icky destruction. So, you need to, now and again, deploy some ordinance to cleanse the surface of your skin, making it all lovely and raw. I'm even down with having a go with a handful of salt scrub, or even one of those cheese grater things you can get for your feet. But the coconut in this is a little bit silly. Basically chunks of coconut force themselves into their skin - not to mention your scalp if you're silly enough to use it as a shampoo - where they sit, irritating you, and clinging on for dear life to resist any effort to remove them. 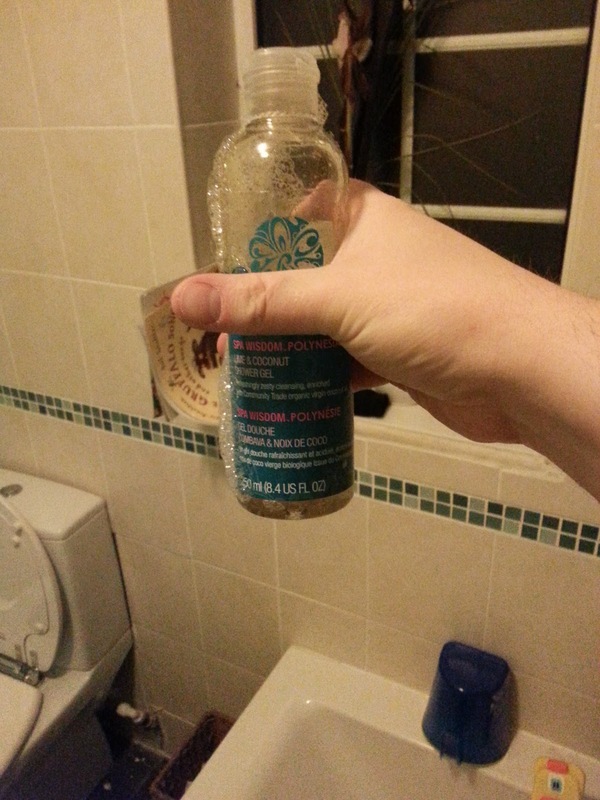 However, because I hate to waste anything, and I love an opportunity to triumph over extremely minor adversity, I am going to finish this shower gel, if it's the last thing I do. Finally, if people want to read a slightly more serious blog post, Crysta of Dancing With Fireflies very kindly hosted a guest blog of mine recently, about why people bother creating stuff. It's a little bit introspective and not the sort of stuff I put on here, but Crysta is great and does have a great website which is well worth a visit. Do you know, I'd never heard this song until my other half sang it to me last night! Funny stuff but I have to disagree...Lime is for Mexican beer and I have a killer Coconut bread recipe I found in a Key West restaurant.